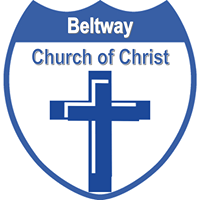 Mission - The mission of the Audio/Visual Technology Committee is to design, develop, acquire, deploy and maintain first-class, cost-effective, accessible/usable audio/visual/media and information technologies to support Beltway’s overall goal of spreading the word of God. Organization - The Technology Ministry will be organized into two distinct, but interdependent functional areas. We understand that to properly perform all the functions of the ministry will take lots of time and resources. Operate and maintain church’s audiovisual equipment.